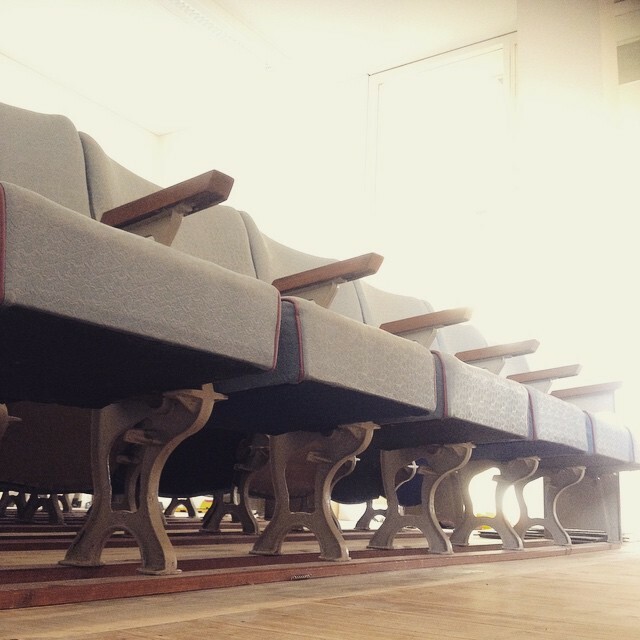 Seats just like they used to be. All part of the experience. 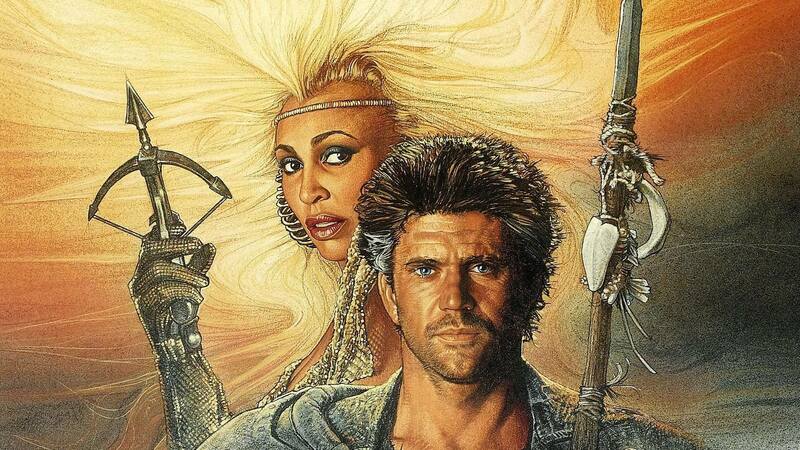 For those of you who weren't around in the 80s, Valhalla was a classic flea pit cinema in Victoria Street Richmond. 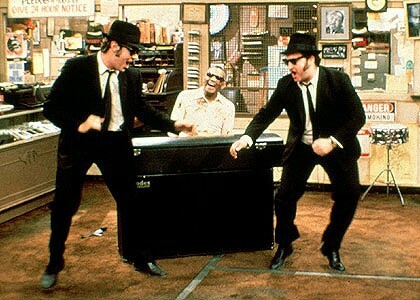 You'd go on a Friday night to watch The Blues Brothers. The Blues Mobile would be parked out the front. The audience knew every line of that movie and would all yell in unison, at just the right point, "We're on a mission from God!" When the screen showed any kind of cigarette or flame, you'd see people produce cigarette lighters and flick out some fire right on cue. You couldn't do it these days as a smoke detector would probably start shrieking. Fans in the correct dress were always on the stage in front of the screen doing all the right dance moves. And if anyone from the army had a night off, they would arrive in their fatigues and "hut, hut, hut' across the stage at that point in the movie when the army are sent into capture Jake and Ellroy. This Melbourne institution of Blues Brothers on a Friday night went on for 20 years – first in Richmond and then at Valhalla's next home in Northcote.Article here. It won't be the same (this place will have air conditioning!) but a group have got together and are bringing the old Valhalla back as a summer pop-up on Swan Street. 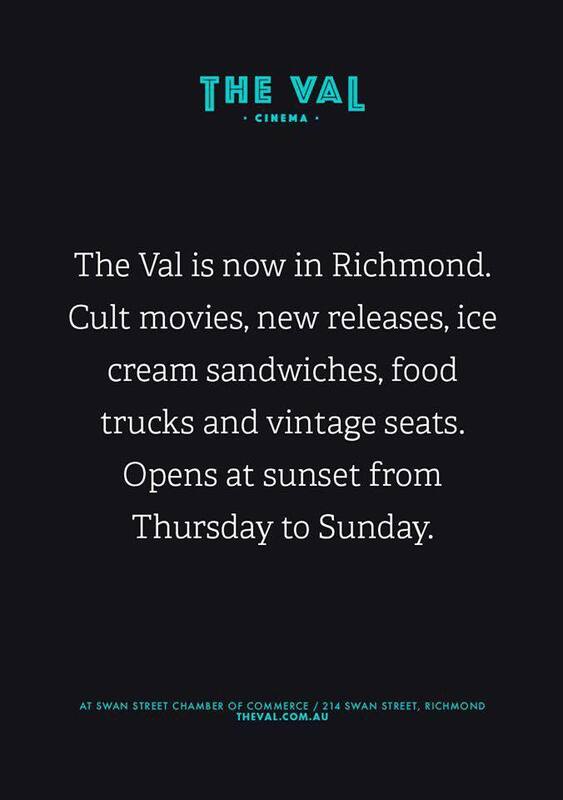 But so you don't get confused and because they probably can't use the same name they are calling it the Val Cinema. It is in a new cultural precinct called the Swan Street Chamber of Commerce, which is a beautiful old bank with gorgeous high-ceilinged rooms. The cinema will operate during the summer months. 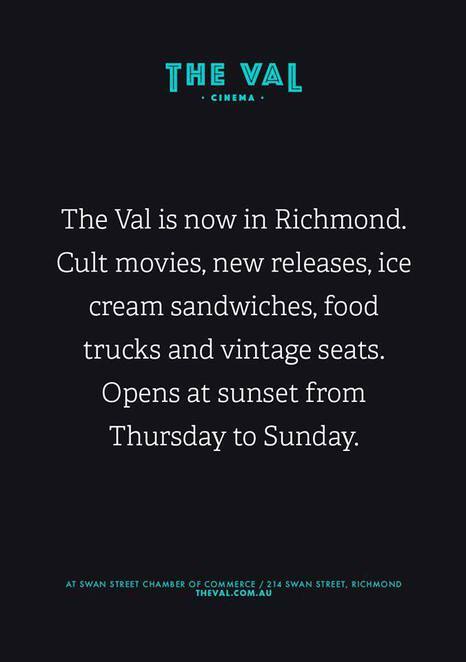 The Val, just like the old Valhalla, specialises in cult films with a few newbies thrown in as well. 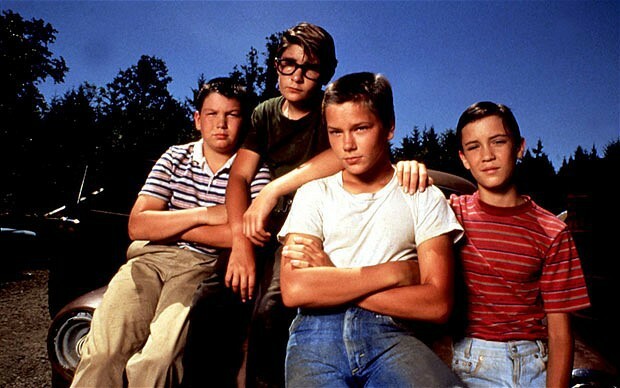 Movies screen Thursday to Sunday, every week during summer. The cinema is a 42-seat cinema with great old seats just like the old Valhalla. And by the looks of these ice-cream sandwiches, the food is going to be a lot better than the old Valhalla every dreamed possible. The season is already underway and began quite appropriately with a screening of The Blues Brothers. Their program includes Martin Scorsese's The King of Comedy, William Friedkin's Sorcerer and Robert Zemeckis' Who Framed Roger Rabbit?, as well as something a little more recent, Harmony Korine's Spring Breakers. You can find out more on their website and put yourself down for updates so you don't miss out on anything good. For dinner they'll be food trucks and Storm in a Tea Cup can offer you great beverages. For another different movie experience head along to the outdoor cinema at the Hellenic Museum which offers Greek Food and ice-cream and a great line up. Click here. Keeping it in Richmond, Bridge Road is having its own free film festival at the Richmond Town Hall. I went last year and it was great visiting this iconic building. For the program, click here. And don't forget Southgate's free movies over summer as they have a great line-up. Click here. There is also a free outdoor bean-bag cinema on until the end of March at Yarra's Edge near Docklands. Click here. 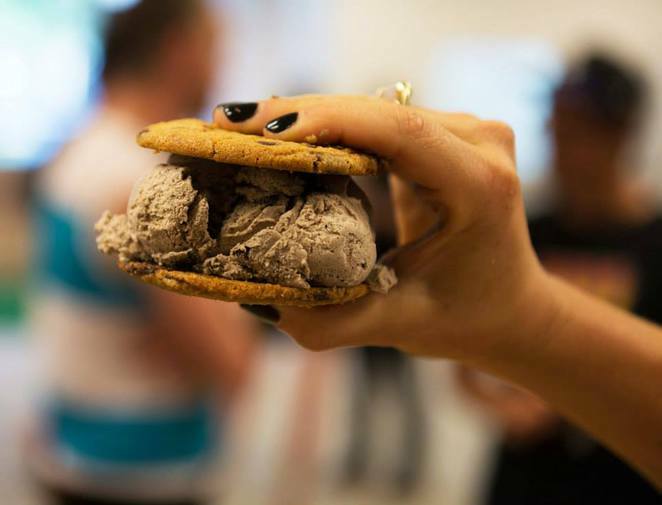 That ice-cream sandwich looks pretty amazing!